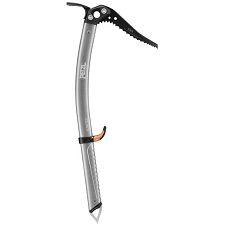 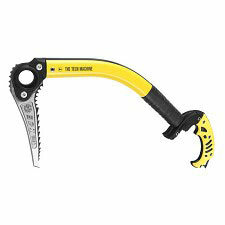 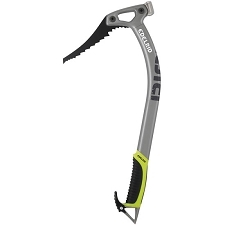 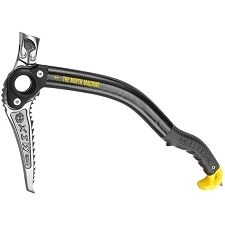 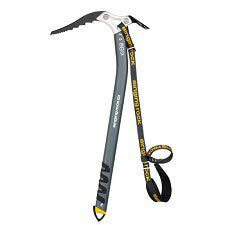 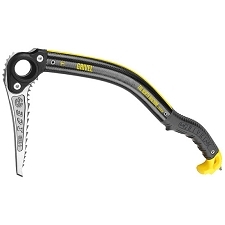 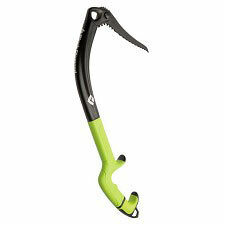 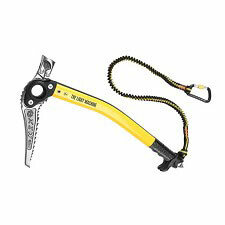 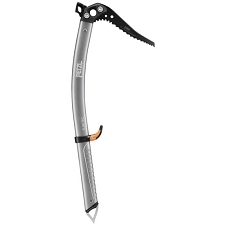 The Edge is a lightweight ice axe for technical mountaineering. 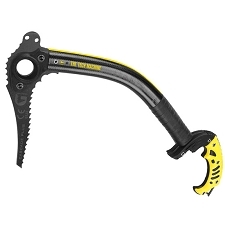 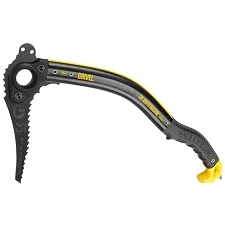 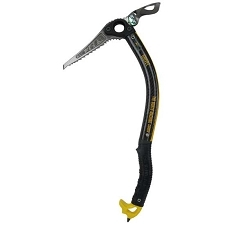 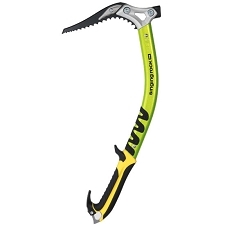 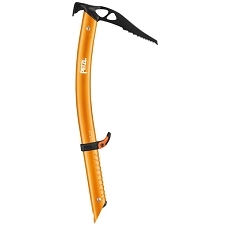 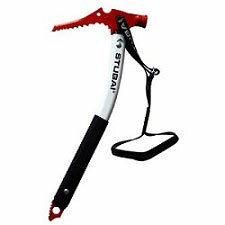 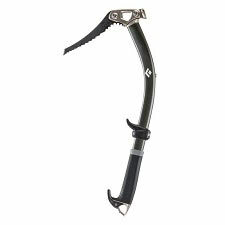 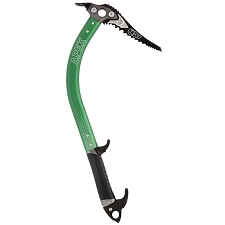 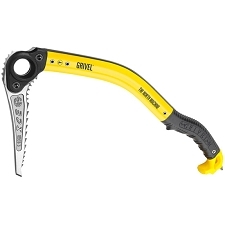 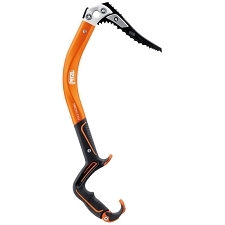 It is a compromise between classical ice axe and modern technical tool as it combines the advantages of both: curved shaft for large clearance useful in technical terrain and traditional spike that penetrates the snow easily when climbing snow slopes. 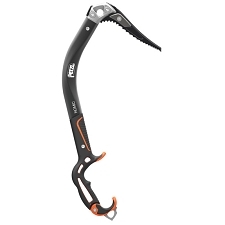 It is the best choice for steep couloirs and classical alpine terrain. 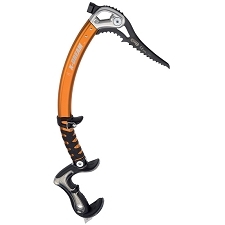 The bent shaft makes hooking on ice bulges or rock easy while creating an optimum grip angle. 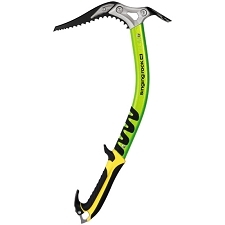 A hot forged head allows use of adze/hammer and pick replacement, if focused on the lowest weight, the ice axe can be used also without adze/hammer. 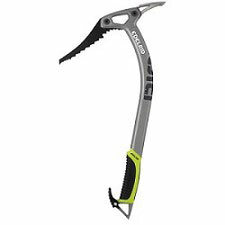 Pick is aggressive enough for hard ice and moderate mixed climbing and also has a smooth grip zone which protects your gloves when holding the head. 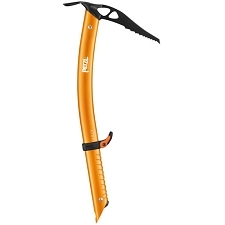 The head shape is designed so that it can be jammed into the cracks and to provide support for climbing in soft snow, hole in the head is big enough to fit any carabiner. 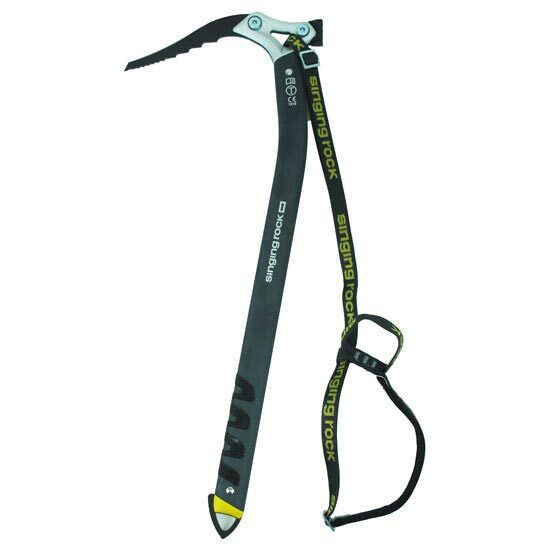 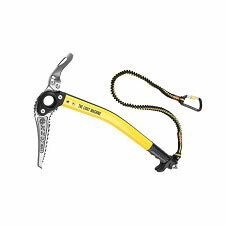 Spike is narrow and penetrates the snow easily, a carabiner or BUNGEE tether may be attached to its eye.